DAYR-EL-ZOR: As more Syrian Army troops are freed to fight in other battles across their country, we see a force of close to 20,000 now heading directly from eastern Homs to Dayr El-Zor. This move is a shift in strategy from when the Syrian High Command was more interested in the western part of the country. But, Dayr El-Zor is a crucial element of Syria’s economic well-being and cannot be ignored, especially now that the Iraqi Armed Forces have started to close off all supply routes to the terrorists in East Syria. About 4 days ago, the Al-Nujabaa` Front, was seen setting up positions to block supplies to ISIS on the border with Syria. The Iraqi Air Force conducted several sweeps over ISIS concentrations at Al-Bu-Kamaal killing a high-ranking terrorist field commander by the name of ‘Abdul-Rahmaan Jamaal Al-Aseel. Al-Mayaadeen: A warehouse managed by ISIS insects exploded killing 27 cockroaches and destroying 12 vehicles. The operation has been attributed to Syrian Army-Special Operations Units. Al-Qaaboon: The first tranche of flea-bitten rodents left Al-Qaaboon for northwestern Syria yesterday after most accepted offers of amnesty and clemency from the government. The last group has now left neighboring Al-Barza in order to live in the Wahhabist enclave of Idlib. Brigadier General, Kamaal Saarim of the Syrian Army confirmed that his forces have killed over 1000 terrorists during the last 3 months of combat in Al-Qaaboon. The key to the collapse of the terrorist presence in the two suburbs of Damascus was the discovery of over 29 tunnels that led to the East Al-Ghouta. Once the tunnels were sealed by the SAA, so was the fate of the terrorist Wahhabi-supported vultures. It has been revealed that some rodents escaped to ‘Irbeen or Harastaa through the tunnels before they were detonated by the SAA-Engineering Corps. The Capital: On Syrian television, the terrorist vulture, Waleed Hindi, confessed to fabricating scenes of horror in Aleppo which were filmed by Turkish television stations and the White Helmets in order to tarnish the image of the Syrian Army and government. These films which depicted people suffering from CW attacks were pure fabrication. He admitted to joining a terrorist organization whose members received their salaries from a “local council” and contributors from Persian Gulf Ayraab countries. Another terrorist, ‘Imaad ‘Abdul-Jawaad, also admitted on television that he witnessed the presence of chemical weapons in the hands of the terrorists and that he personally was involved in transporting it. When he was asked to move the CW from Al-Sukkari Quarter to the Al-‘Aamiriyya Quarter, he was told he was carrying dishwashing soap and laundry detergent as a cover story. Because of his active asthma, he notice that what he was carrying was causing him to have breathing problems. As he watched other terrorists appear in long silver-colored uniforms and masks, he was unceremoniously ordered to leave the scene. But, what he saw them extract from the load was nothing similar to dishwashing soap or detergent. Al-Hajar Al-Aswad: This area adjacent to the Yarmouk Camp was the scene, on May 11, 2017, of the execution of Firaas Ghannaam, a/k/a “Abu Maryam” after he was accused and convicted of “breaking ranks”. He took a shot to the head. Madyaraa Village: The Saudi-financed reptiles of the Faylaq Al-Rahmaan blocked the escape of medical doctors to Misraabaa. The physicians were arrested and forced to return to their practice as veterinarians. West and East Habra Villages, Rasm Hameeda: Three strategic points have been liberated by the Syrian Army from ISIS. Our source in Damascus says over 40 rodents were killed and 8 pickups with 23mm cannons were destroyed in the operation. Also cleansed were South Al-Mushayrifa, Rasm Al-Taweel, East Tallaa’ and Umm Sahreej. Al-Wa’er: 260+ rodents have left in the 9th tranche toward northern Aleppo Province. Some can be seen in the photo below carrying their stolen possessions. The Syrian Army has confirmed the liberation of Al-Mahdoom Village as another stepping stone toward Maskana, and, finally to Tabqa where mostly Kurd forces have managed to eject ISIS from the dam. The Syrian Army is moving quickly to prevent the United States-backed Kurds from having any legal claim to establish their counterfeit state in northeastern Syria. QUNAYTRA: A leader of the Jaysh Thuwwaar Sooriyaa – Al-Jaysh Al-Hurr (FSA), a group which serves the interests of MOSSAD, was killed when an SAA-planted IED blew him and his car into smithereens as he left his home in Burayqa. He was called “Abu Ja’far”. He is now called “dead”. May all Filthy Wahhabi Ratz wash in detergent which isn’t really detergent. Great work SAA! Keep going! This is great news that the SAA is on the march to Dayr El-Zor. The Western backed vermin severely damaged the Armenian memorial there which will be restored when the area is secured. The SAA and the Syrian people and their allies give us hope for a future not dominated by the despicable vile psychopaths that rule in the West and think they can continue plowing and plundering the rest of the world. Thank you Ziad, and thank you for some morning humour. . “He was called “Abu Ja’far”. He is now called “dead””. When this war is over a career in stand up comedy is waiting you! When Dayr El Zor is liberated, it will make the lifting of the siege of Kuweires seem like a mere trifle. Damascus is now a much safer city, no more indiscriminate shelling from Qaaboon. In east Ghouta the head choppers are doing Gods work, killing each other. Keep it up boys. I feel deep brotherhood with all good people suffering on this planet. Thank you for sharing the truth of Syrian events. Rumours circulating that Trump may fire Priebus, Bannon and Spicer. It may be B.S. but I’m letting people know. The Rothschild-Zionists from London/Paris/USA/Israel are not going to give up! They just build a Kurdish force of 100.000 strong to take Aleppo again! The USA will nuke 2 Russian cities quickly after a false flag event blamed on Russia. They will take out the Russian leadership and the same time take out the Syrian leadership when Israel nukes Damascus/Lebanon/Iran. THE WAR IS NOT OVER AS LONG AS LONDON EXISTS!!! THE WAR IS NOT OVER AS LONG AS PARIS EXISTS!!! THE WAR IS NOT OVER AS LONG AS ISRAEL EXISTS!!! Ziad’s head fairies at work again. There is no proof that CW scenes were fabricated. As usual, you feed your readers unsubstantiated rumors bordering on insanity. Anyways, the US has started rearming the rebels in Idlib and if Assad thinks it’s going to be a cakewalk then he has another thing coming. As a regular reader of the Russian Ministry of Defence Bulletins, I’m astonished to see they are reporting four De-escalation Zone violations plus two more reported by the Turkish observers in the last twenty four hours. Mostly small arms fire. Very promising. I’m a little confused , maybe the strategic minds on here can help me out. The Syrians are rushing to link Syrian controlled territory up with DAYR-EL-ZOR to prevent the ZioAmericans from grabbing it first. Why, are they afraid that , once the ZioAmerican take it they will never get it back. Does this mean they’re afraid of attacking the Kurds and ZioAmericans ? Following that logic, does this also the mean north eastern part of Syria is lost ? On Monday, President Trump authorized the Pentagon to provide whatever weapons necessary for the Kurdish slaves of Israel to allegedly defeat ISIS slaves of Israel in Raqqa. This is not a new strategy, however. It is left-over from the Obama Regime. Will it work this time? So what will happen to the people at the Ruqban refugee camp once the Syrian army reaches the Jordanian border, and what about the 1.5 million Syrian refugees in Jordan, will they be able to return to Syria ? Too bad he’s not fighting on the Syrian army’s sdie ……………..
I’m a registered teacher now. Police Clearance finished. No more need to hide under the radar. Don’t tell anyone that I support Dr Assad and thank you Ziad for allowing me to remove my real name from some conspicuous, grubby pages. I bought a number ready mobile phone from the supermarket for $20 to put on my resume, which I will now type. I couldn’t believe the cheap instant phone either. Excellent! Syria continues to clean out its country…..the One Belt, One Road event is happening in Beijing, and the world continues to move on from the US/Zionist/UK axis control. Syria proved to have more “will” to stay alive than the true “Axis of Evil: US” thought. Bravo, Syria! Bravo, Assad! You fight for us all. The evil cannot continues forever, it destroys itself when it cannot consume us. If we refuse to agree, they cannot control us. Their power is an illusion….but we give it to them when we do not move to save ourselves. Lets say the SAA and its allies reach Tanf, isn’t it occupied right now by US,Jordanian and British forces? Or am I mistaken? If that is the case, what will the SAA do once they get to Tanf? Not take it? Will they lay siege to it? The Akkadian Emperor turned over in his grave to send this message. 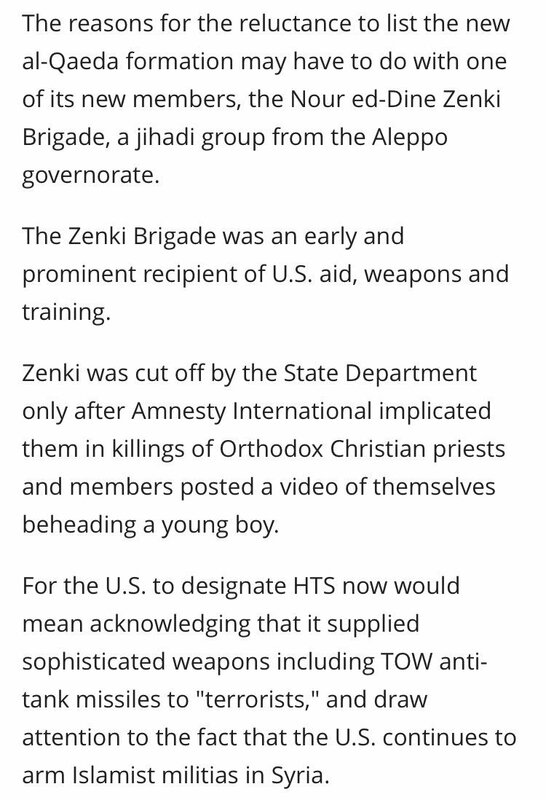 US funded, trained, provided sophisticated weapons and arms, logistics and salaries to terrorists who murdered catholic priests, crucified christian women and cut off children heads. The US calls them moderate rebels. In the english language these would be mercenaries hired by foreign government to terrorist the population of the targeted countries. US controlled death squads paid for by US tax payers in part.. Calling them terrorists would mean the US and Canada are state sponsors of terrorists. This operation is done under complete discretion by the Syrian Armed Forces, information going out are minimal to non, and we are only sharing news with at least 12 – 24 hrs delay. Regarding the Kurdish/SDF militia activities, let’s not forget these people are Syrian. The Syrian government welcomes their assistance. Even where they are most numerous, Kurds are still a minority ethnic group; and Syrian nationality holds many benefits for them. The west keeps killing Syrians. That’s what all the Fake Stream Media’s rhetoric boils down to. The terminology might vary [helps, assist, support, etc. takfiri terrorists], but the end result is the same: the death of honorable Syrian men, women and children. I do not embrace death, but I have to admit I feel something close to joy, when I see pictures of dead takfiri terrorists… and I don’t even feel [morally] bad about it. Is this Turkey/Qatar vs. Saudi Arabia? And here we go again, as one poster has already said the lying Australian MSM along with the rest is at it again, claiming (with ariel footage as was with Iraq) a prison that has a crematorium burning at least 50 bodies a day, I mean wow, SBS & ABC going full bore on this lie, seems we are all doomed to our jew masters in Oz. P.S. The Turkish-Kurdish conflict does NOT exist inside Syria. It is all DECEPTION. You can hear the Nusrah fighter shouting ”Allahu akbar” while the american troops fire away. 0:14 Americans shouting ”Woohoooooww” while shooting. 1:30 American with Javalin trying to aim. Putin tells it how it is …………………….. 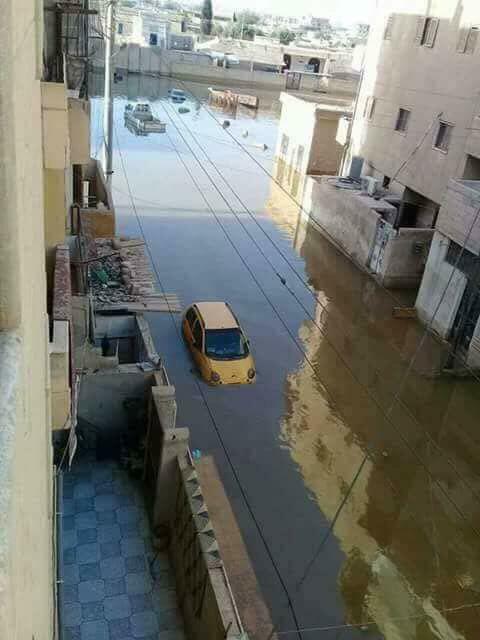 The destruction of Europe through globalist induced, multi-multiculturalism ………………..
Kurds started to flood Raqqa. They hope #IS fighters will run away like rats.